Guitarist, composer, improvisor, Pablo Montagne was awarded the highest marks in classical guitar playing at the “A. Casella” Conservatoire in L’Aquila. 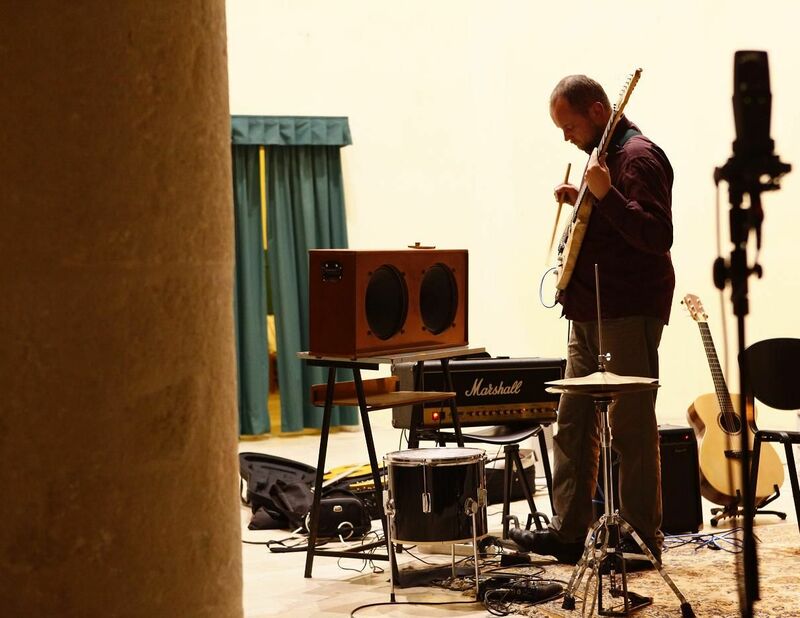 Following this,he studied with M.Felici and M.Grandinetti at the “N.Rota” Conservatoire of Monopoli, receiving the Master degree in guitar solo performance along with the mention “con Lode”. During this period he also studied improvisation with G.Lenoci obtaining the Diploma in “Jazz Music” with the mention “con Lode”. Furthermore, he studied electronic music with M.Lupone, meanwhile working with the CRM (Centre of Musical Research). Over the years, Pablo Montagne has dedicated much time to the practices of improvisation and composition, which he conceives also as de-composition and re-composition,with a leaning towards diverse and multiple aspects of performance in both solo and group playing. He is dedicated to writing and accumulating scores of different and opposed nature, with the intention (or non intention) to organise, separate, act out, amplify, isolate or, in some cases, even inhibit some behavioural processes due to mental attitudes and automatic body movement. M.Lupone, G.Lenoci, E.Parker, A.La Volpe, J.Léandre, M.Grandinetti, M.Felici, B.Achiary, C.Gayle, S.Bussotti, M.Riessler, G.Mongelli, S.Potts, K.Saariaho, W.Parker, Quadrivium percussion research group, A.Tomassetti ,W.Cianciusi , CRM (Centre of Musical Research), N.Guazzaloca, G.Gebbia, C. Lutes, Qualibò contemporary dance company and many others.